Thai food fans this week gain a second Detroit site of Sy Thai, which joins the move-downtown trend. Its fifth restaurant opens Friday in Capitol Park. This Go! Sy Thai location on the street level of The Albert apartments, 1214 Griswold St., is a fast-casual version of the sit-down original in Birmingham since 1993. 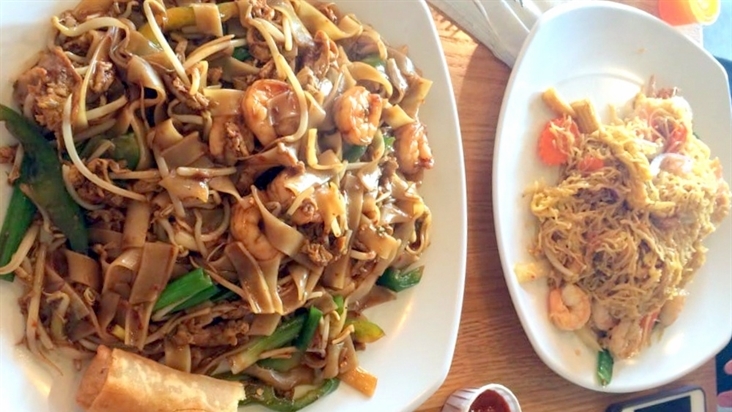 “Our family has been serving traditional Thai food to metro Detroit for more than two decades," owner Cedric Lee says in a media release, "and this new location will allow more people the opportunity to become fans." 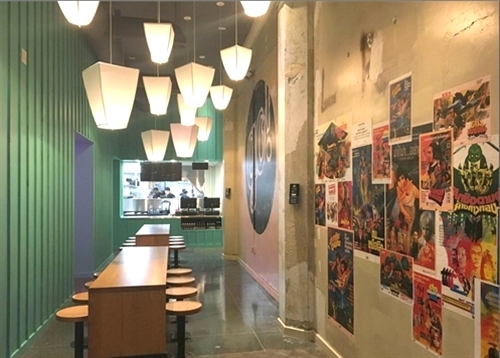 "Downtown's newest food spot has 29 seats, a condensed menu and delivery service in downtown and Midtown," says the handout from landlord Broder & Sachse Real Estate, Inc. Patrick Thompson Design of Detroit created the colorful interior. Hours are 11 a.m.-9 p.m. Monday through Saturday and 4-9 p.m. Sunday. Meal buyers Friday at the new site get a food coupon for later use. Other branches are in St. Clair Shores, Troy and Midtown Detroit (4240 Cass at East Canfield). Among neighbors of the Griswold Street newcomer are Dessert Oasis Coffee Roasters and Detroit Bikes, in the same building, and Bad Luck Bar behind The Albert.